A Viking's quest for glory never ends - even in death. 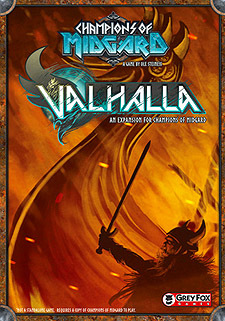 In Valhalla, Valkyries choose who is worthy to join in everlasting battle at Odin's side. Epic Monsters meet berserkers on the battlefield for all eternity. Days are filled with glorious fighting and nights are spent drinking mead in the company of the greatest Vikings who ever lived.